THIS FORMER SHOWHOME ON A CORNER LOT WITH WEST FACING BACKYARD is located in the family-friendly community of Citadel. 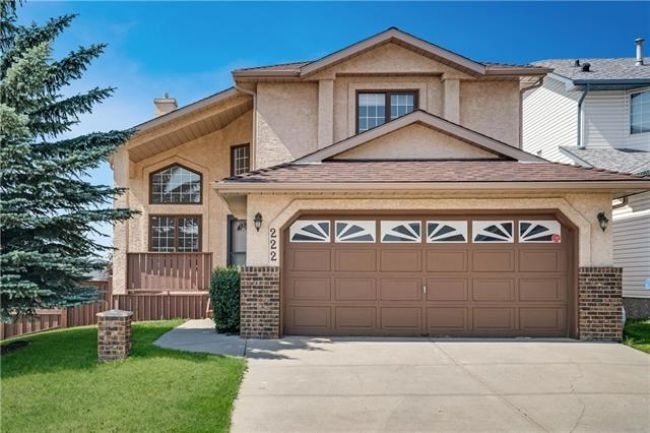 With over 2,500 sq ft of developed living space, this 4 bedroom, 3 full bathroom and 1 half bath property offers a fully finished basement, double attached garage and RV parking. Many new updates include upstairs flooring, paint throughout, a high-efficiency furnace and A/C unit as well as a newer washer and dryer. The one of a kind master bedroom and ensuite features a large walk-in closet and relaxing sitting area with mountain views creating the perfect reading chair or nursery. An abundance of schools, shopping and playgrounds are within walking distance. Visit the realtor website for more information or schedule your viewing today!